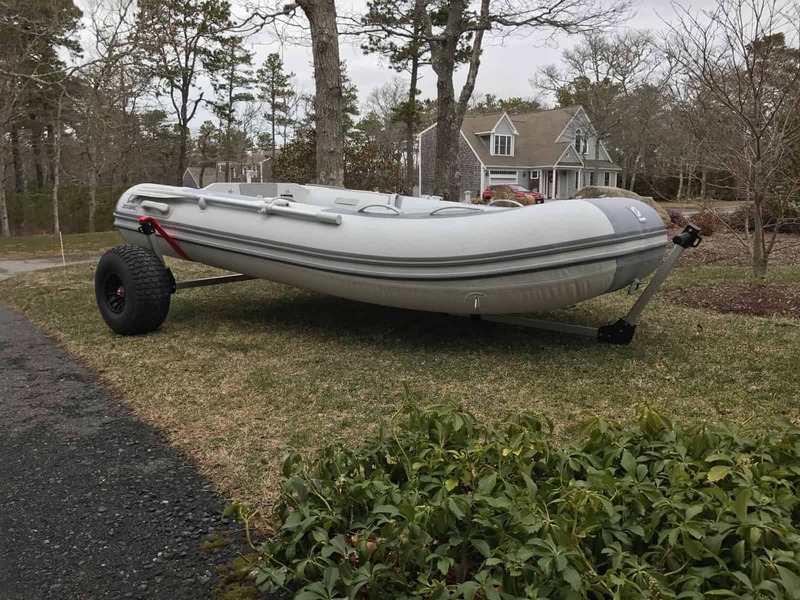 The variety of design and size of small inflatables makes for a challenge when picking the “right” dolly for your boat. 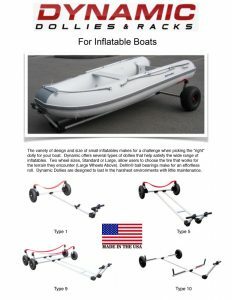 Dynamic offers several types of dollies that help satisfy the wide range of inflatables. Two wheel sizes, Standard or Large, allow users to choose the tire that works for the terrain they encounter (Large Wheels Above). Delrin® ball bearings make for an effortless roll. Dynamic Dollies are designed to last in the harshest environments with little maintenance.